Gelsenkirchen - There were no complaints from the FC Schalke 04 camp after Saturday evening's 3-0 win over VfB Stuttgart, but for die Schwaben, they only had themselves to blame. Kevin-Prince Boateng: We knew how important the midfield battle would be. 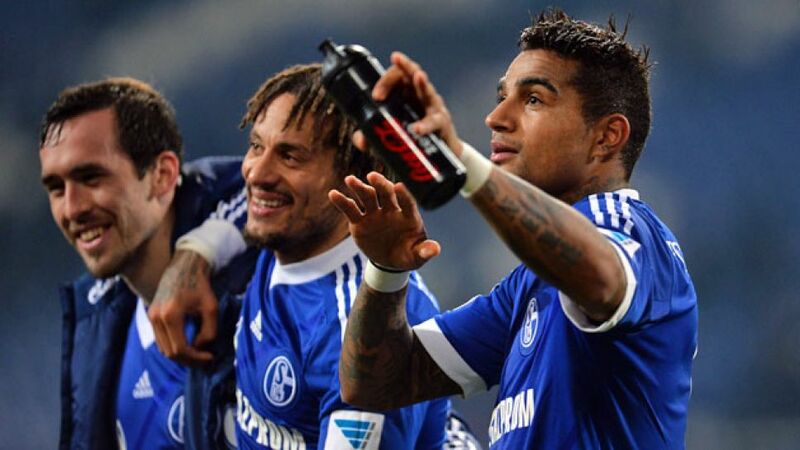 Jermaine Jones and Roman Neustädter were outstanding. They covered lots of ground, which gave us more room going forward. Jermaine Jones: After the 3-3 draw in Frankfurt and goalless draw in Bucharest, we knew we had it in us. We put our all into the game. We deserved to win. Max Meyer: It was an important win. We showed we’re back in the game, we gave little away and played with confidence. We were strong at the back and took our chances up top. I think the fans will have gone home happy. Christian Gentner: Overall I thought it was an even game, but Schalke were more clinical when it mattered. Scoring shortly after the break was key for Schalke. After that it was more difficult for us to mount the pressure. Daniel Schwaab: We started and played well for the first half-hour. We played an open game. Unfortunately we missed one or two good chances to score the opening goal. It didn’t get any easier chasing the lead. It’s incredibly annoying we conceded the goals so easily. We have work to do because we should be keeping clean sheets.